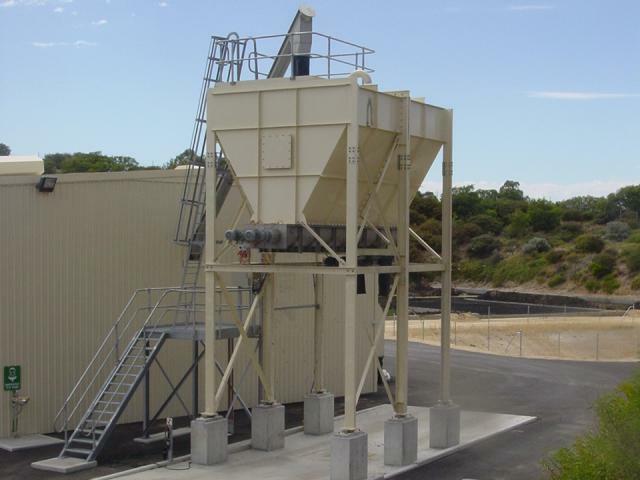 This small and remote WWTP features a SPIRAC livebottom silo with twin outloading screws and a total capacity of 40m3. 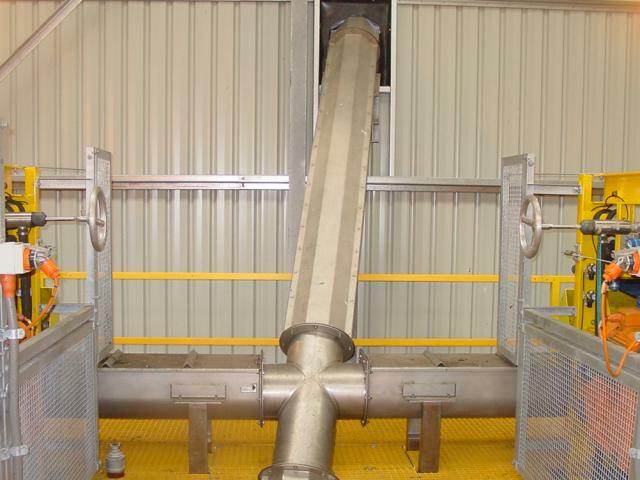 Two belt filter presses feed SPIRAC spiral conveyors to transport dewatered sludge up a 45 degree incline conveyor to fill the silo. This unmanned plant is serviced by a contract trucking firm with access card to pick up sludge twice a week. 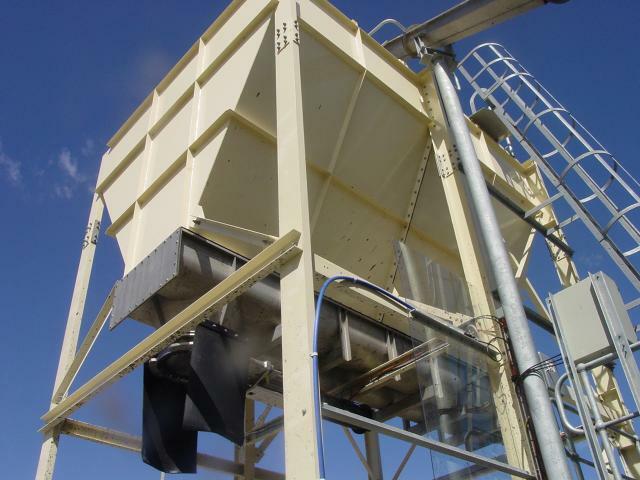 Load cells under the silo allow tracking of plant output and transport costs.